By Joydeep Bhattacharya in E-Commerce. Updated on August 29, 2018 . Page loading speed is important on all platforms, but it increases manifolds for mobile websites. The ideal page loading time for a mobile website is less than 3 seconds. Google offers you a TestMySite tool that you can use to get actionable feedback on page loading speeds for your mobile website. Make use of image compression. 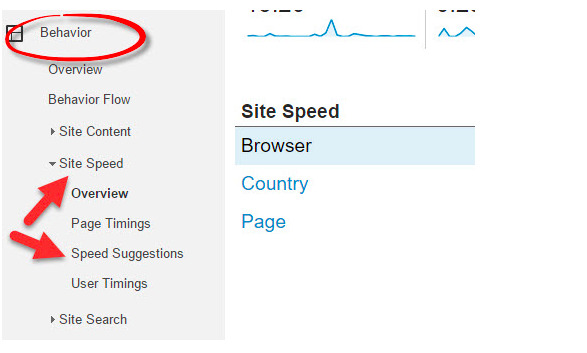 I also recommend you check out Behavior and Site Speed in Google Search Console to get detailed understanding page speed issue for your website. As 4G proliferates, the expectations of super fast loading web pages will increase, so slow loading pages are going to find it tough to convert. There has been a lot of talk about choosing the ‘right’ mobile configurations (responsive designs, separate URLs, dynamic serving etc.). Whereas there are pros and cons of each, there’s nothing drastically different in terms of mobile SEO for each. Instead of the mobile configuration, you should focus on eliminating the issues with your site’s mobile-friendliness. 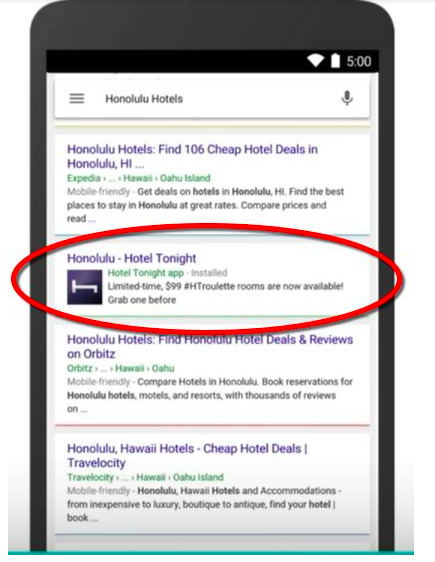 This is where Google’s Mobile Friendly Test tool helps. This Moz guide, though a couple of years old, is still one of the best resources to help you ace the Mobile Friendly Test. Many brands integrate their website and app content. For them, there’s every reason to invest effort in app indexing. The concept is not very old but has started featuring in advanced mobile SEO conversations. Simply put, app indexing is actually doing SEO for your mobile app. Here are the basic rules of app indexing. Indexing as many app pages as possible. Using keyword research to design and create your app content. Eliminating negative factors such as overlapping interstitials, and content mismatches. You can drive your prospects through the sales funnel by building a complete customer journey map centered on mobile. Email marketing, for instance, becomes the first point, driving your prospects to the mobile-ready website. Give a button that allows users to “send a text” to your toll-free number for appointments, free quotes, etc. on the website for SMS powered lead generation. Next up, your sales and marketing team can take over and convert the qualified leads into customers. In 2016, Google rolled out AMP (Accelerated Mobile Pages) project to enable websites to become mobile friendly. 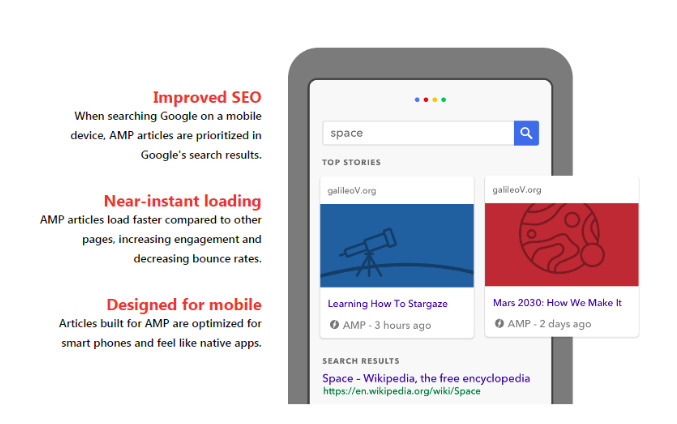 It’s almost 2 years since then, and early adopters of AMP have already reaped the benefits. If you haven’t used it yet, now is the time. Giving a complete explanation on how to implement AMP for your website would be out of the scope of this article. However, here’s a pretty comprehensive resource to get you started with it. Google AMP now powers more than 2 billion web pages and 900,000 domains, and it’s time yours became a part of the same. Consider being a part of one of the pending AMP road shows for 2017, to get into the thick of things of the technology. Most of your initial mobile-specific local SEO efforts will be geared towards optimizing your website for local keywords. Here are some must-dos. Using city and state name in the title tag, H1, the URL, meta descriptions, and image alt texts could boost conversions. Embed a Google Map that points to your Google Plus Local page. Creating a responsive website is not the end of the mobile-readiness game. You need to constantly improve the user experience to drive engagement, and hence conversions. Two-thirds of mobile traffic doesn’t allow for 3rd party cookies. This can make it a nightmare to track the effectiveness of your mobile website. So, make it a point to use analytics software well in advance, especially ones that can use 1st party cookies to track website visitors. Tools like ClickTale and Hotjar help you with heat maps and session playbacks, apart from tracking mobile gestures such as pinch, zoom, tap, double tap, scroll, and tilt. Because a user's mobile behavior could be vastly different from that on desktop, it makes sense to understand the usage patterns, and improve the user experience on mobile. 2016 Internet Trends Report clearly highlighted how voice search was headed up for the stars, and 2017 showcased it amply. By 2020, voice searches could well account for a major share of global searches. 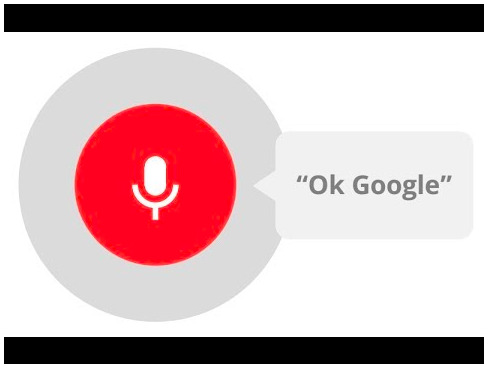 Voice search is conversation-like, and hence the search queries are longer than desktop browser search queries. So, this calls for a move towards long-tail+ keywords (the + sign means adding words that make the keyword more suited for a voice search). Questions make for a huge percentage of voice search keywords. Also, Google’s suggested keywords (the block of 6 to 8 phrases at the end of the result page) is a good source. Look for long tail keywords in Google Search Console, that you think will fit well for voice searches. So you think it’s ok to throw a subscription or sign up form on your mobile website visitors. Well, the fact is that 86% users dislike pop-ups and 23% don’t convert even after signing up. And that’s mainly because of a poorly designed form. Therefore, while designing sign up or login forms for your mobile website or app, keep these things in mind. Use real-time validation to help users complete forms quicker. Keep the number of fields to a minimum. Give them the option to make password visible as they type, to avoid frustration because of wrong password entry. Ask for email or mobile number instead of usernames that they’re going to forget. The biggest news for 2018, from an SEO’s perspective is to be around the launch of Google’s mobile-first index. The best decision you can take for your website is to make it as ready as possible for the big shift. The tips discussed in this guide will make you ready from a mobile SEO perspective, and will help you improve conversions in the process.